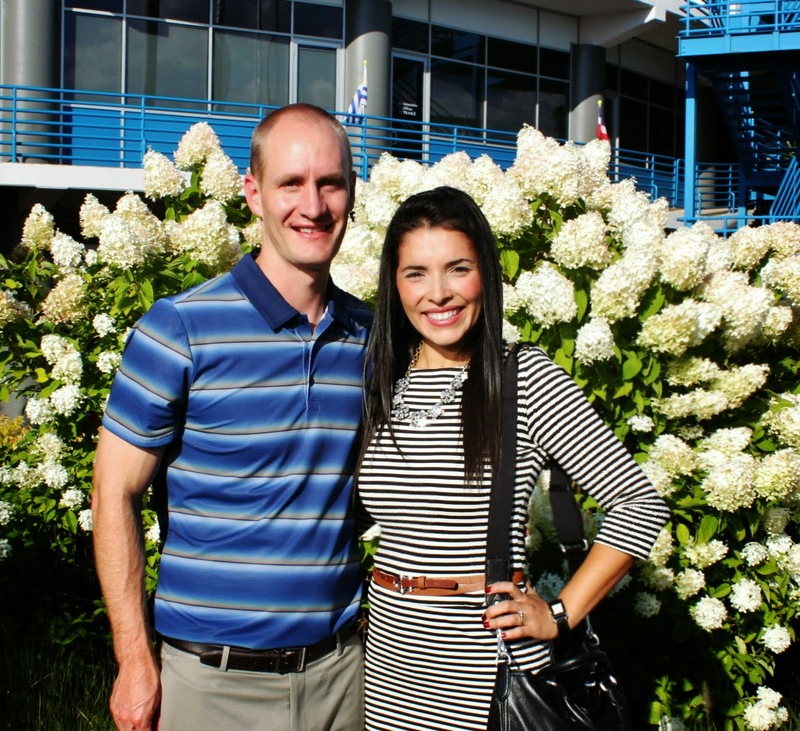 We had a mid-week date night yesterday at one of our favorite venues, the Western & Southern Open. I also, had the privilege of seeing some fun summer & fall looks styled for the runway, thanks to my friends at the Western & Southern. It was an evening full of rich color, texture and bold pattern. The Night on the Runway is the perfect addition to this already wonderful tournament. I loved being able to watch my favorite athletes on the court and minutes later being able to take in all the beautiful fashion on the runway. It just doesn't get much better than this! I was given an exclusive behind the scenes peek of Night on the Runway. And was amazed by how quickly the hair & make up team got the models ready. Mitchell's Salon and Day Spa did all the Hair & Makeup. Isn't this Hair-do STUNNING? Would you believe it only took about 3 minutes?! 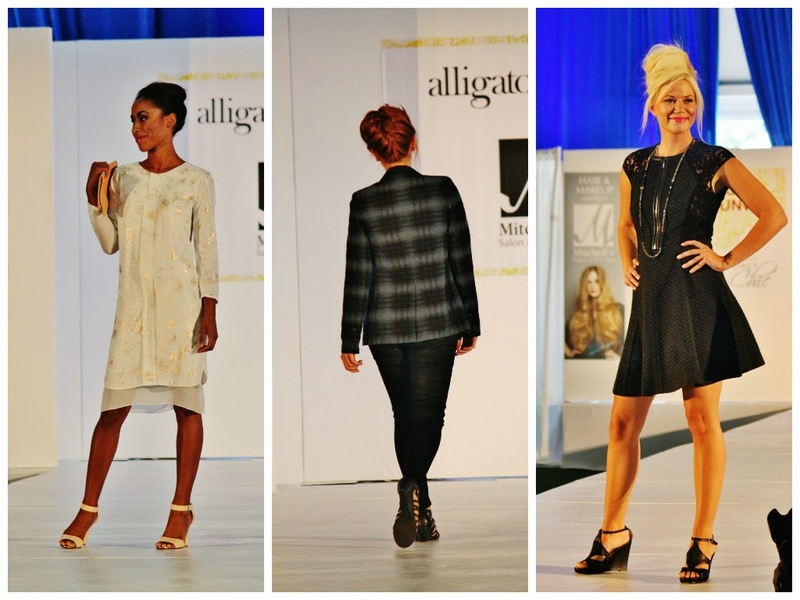 All the models were outfitted by Alligator Purse boutique. I fell in love with a couple of their dresses! This white and gold dress was my favorite! Thanks for the fun night Western & Southern!